During a job interview, a prospective construction worker needs to convince the interviewer that he or she is dependable, takes direction well, exercises sound judgment, and brings the necessary physical prowess to get the job done. As a construction worker, you'll be subject to heavy workloads, demanding duties, tight schedules, and will be working with a wide variety of people, so communicating your adaptability is imperative. You should also discuss your knowledge of various types of construction equipment and techniques. How familiar are you with reading and interpreting blueprints and/or electrical drawings? Describe some of your most recent projects. Have you ever been injured on the job? What happened? What would you do differently now to prevent the injury from happening again? What is on your personal check-list to ensure you are ready to leave the job site at the end of the day? How have you demonstrated safe work practices in your former job? How strong are your math skills? What would you do if a customer had a problem with the quality of your work? How would you handle a situation if you and a coworker have a disagreement about a work issue? Have you ever walked off of a job? If so, for what reason? Give me an example of a time when you had little or no direction in solving an issue. What happened? What did you do? What was the outcome? Tell me about a suggestion you made on the job that was implemented. What procedures do you follow to prevent injuries on the job? How do you prioritize the necessary tasks of a job? Tell us about the biggest roadblocks you have encountered during a project. How did you resolve them? You’ll need to perform a broad range of industry-specific job responsibilities. Share some examples of the types of successful construction work you've completed. Employers are also looking for people who expand their skills whenever they can. Demonstrate your ability to learn new skills which makes both your physical capacity and knowledge of the work more valuable. Do you have a special skill or some type of trade certification? Let your interviewer know what your best skills are. Construction workers need to be able to contribute to a team successfully as well as work independently. Give your interviewer a few examples of how you work as a member of a team. Construction work requires careful attention and focus to ensure safety and quality (measure twice and cut once, as they say). Describe a project or two you’ve done that highlight this skill. Demonstrate that you are up to the task in terms of the physical demands of the job. 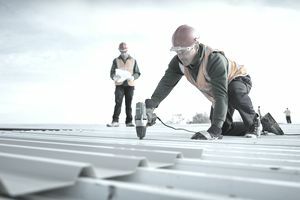 Every construction site requires performing a broad range of tasks. How easily do you move from one task to the next? In addition, can you adapt to changes and disruptions on the job? You want to be cool, collected, and confident when you sit for your upcoming interview. Of course, there’s no guarantee the interviewer will ask all of these specific questions but the more prepared you are the easier it will be to give thorough answers. Go over these questions in your mind or have a friend or family member pose as the interviewer and ask the questions a few times until you’re comfortable with your answers. Don’t forget to brush up your resume to include your recent work or projects and contact your previous bosses or co-workers to see if they’re willing to be listed as references.